Luck N Money Mix-Dress Candles, Mojos, Floors and More! Our Products >> Luck N Money Mix-Dress Candles, Mojos, Floors and More! 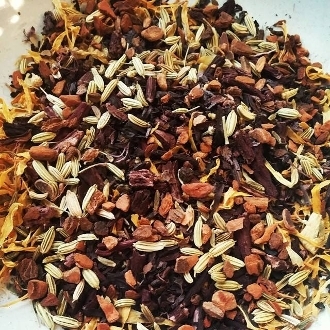 This is a fresh and fragrant mix of sassafras root, fennel seed, basil, calendula petals, alkanet root and much more! Designed to draw lots of luck and prosperity into your workings and space. Use this blend to dress yu candles, add to mojos, use as a floorsweep or add to your bluing. You can even burn it as incense! This is my personal blend and I hope it brings you much success! You will receive one 3x4 inch zip bag.